The End of Life Partnership facilitate a number of Study Days along with our partners. For more information please click on a course title below. 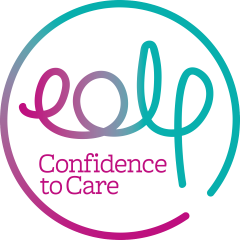 If you wish to attend an event please fill out the attached booking form and send it to info@eolp.org.uk. For any other queries about our courses please Contact Us. Please note cancellation charges apply – as per booking form. FREE to all GP’s [inc.Sessional & Registrars] & Advance Nurse Practitioners working across West Cheshire. A limited number of places may be available to other experienced Nurses attending with GPs from their cluster. This programme of 6 workshops can be accessed as a whole programme or as individual workshops. ONLY 20 places available per workshop, book early to avoid disappointment. Each sessions is 13:30 – 16:30. A free lunch is available from 13:00. Modern challenges of living longer with chronic poor health/frailty or the complexities and risks of multi-morbidity bring a greater degree of uncertainty in predicting when and where individuals will die. GPs have a role in recognising likelihoods and enabling opportunity for patient preferences around future care to be identified as part of decision-making and actions that help avoid unwanted/ inappropriate interventions. Is your experience that these conversations feel difficult. If so, many of your colleagues would agree with you. Challenges often include, deciding ‘how best to’ initiate (including raising the resuscitation question), often involve breaking bad news, managing unrealistic expectations and dealing with emotional fall out. This workshop will provide opportunity to share what conversations feel challenging in Practice. Facilitated interactive role play around some of those common challenges will enable identification and refreshment of communication skills that can help you feel confident in that they can support you to engage sensitively and effectively in such conversations. The day is designed to enable you to become and be an effective mentor. The morning will introduce a mentorship model of practice, stages of the relationship benefits and challenges. The afternoon explores the relationship further through group work, discussion and reflection on practice. Practitioners/care workers who facilitate learning and/or assesses learner achievement in a health and social care setting. Funded places for people employed in South Cheshire, Vale Royal and Eastern Cheshire localities. If you are unsure whether you are eligible for a funded place please call to discuss. £25 to staff working outside this area. Registered nurses working in nursing homes caring for people at end of life. £25 to staff working outside these areas. Course not relevant to staff in West Cheshire. A day for Health Professionals in all care settings. Professionals who deal with challenging communication situations, particularly around loss, distress and end of life care. £350 for staff working outside these areas. Fully funded for all delegates. This course will enable participants to increase and develop their knowledge, understanding and practical skills in palliative care. Can also provide underpinning knowledge evidence to support QCF. This course is fully subsidised; therefore, free of charge to care staff working in East, South and Vale Royal Cheshire. Staff working outside these areas will be charged £250. Practitioners who care for chronically breathless patients in any care setting e.g. Nurses, AHPs, Therapists, Level 3 Health Care Assistants. Run over 2 full days and half a day – over 3 months. Fully funded for staff in Cheshire. £195 to all other applicants. Assistant Practitioners, Nurses, GP’s, Medical Staff, Health Care Assistants, Allied Health Professionals, Domiciliary & Care Home staff. All health and social care staff. Are you required to have conversations with patients and those important to them about their care? Do you support patients and those important to them to start to think about their care as they become less well? Are you interested in learning more about Advance Care Planning ? Do you want to gain more skills and knowledge around Advanced Care Planning – then this course is for you.